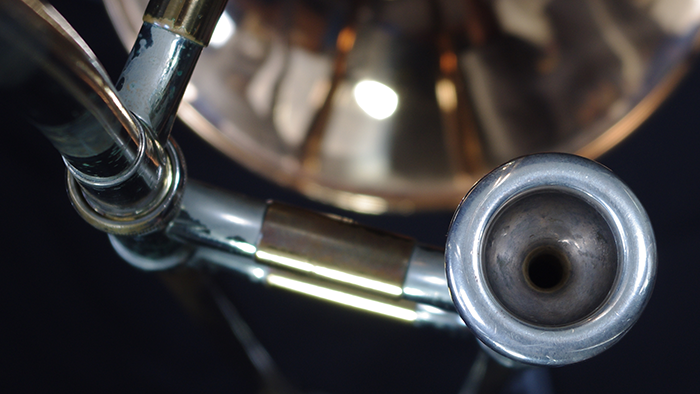 As I mentioned in an earlier post, this Olds Recording is possibly the most beautiful horn I own. 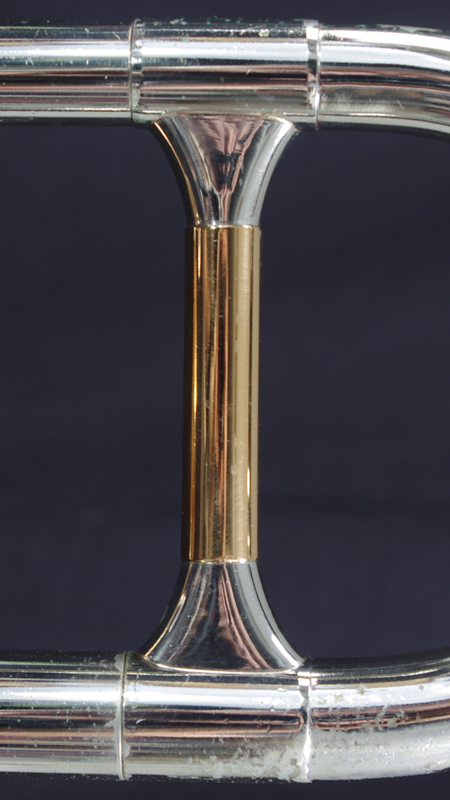 It may well be the most beautiful thing I own. 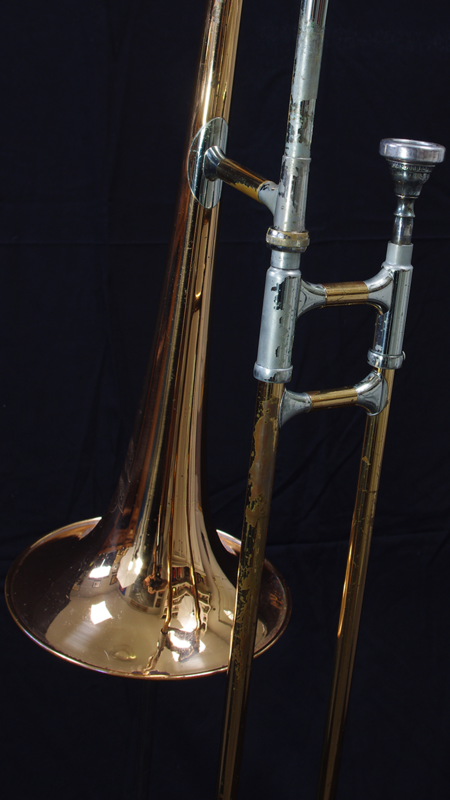 This was my uncle David Buckley’s first horn. 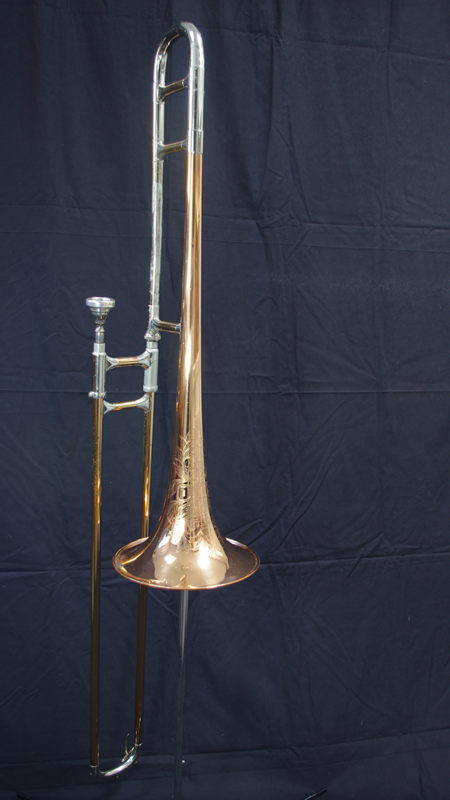 He bought it used in the late 60s at a music store in London. He has no idea how they came to have it. 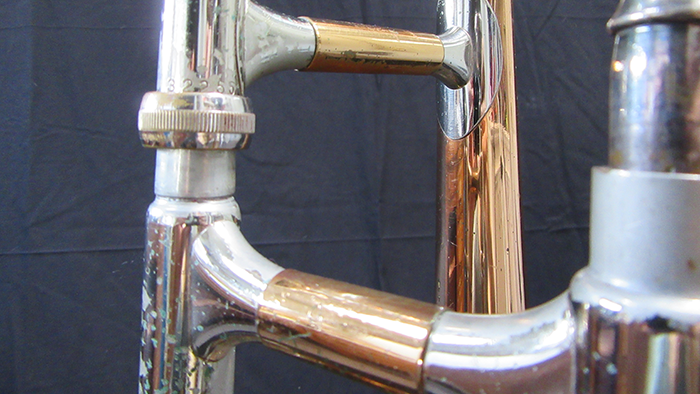 The colours on this horn, from the deep rose brass to the lovely silver chrome are striking. 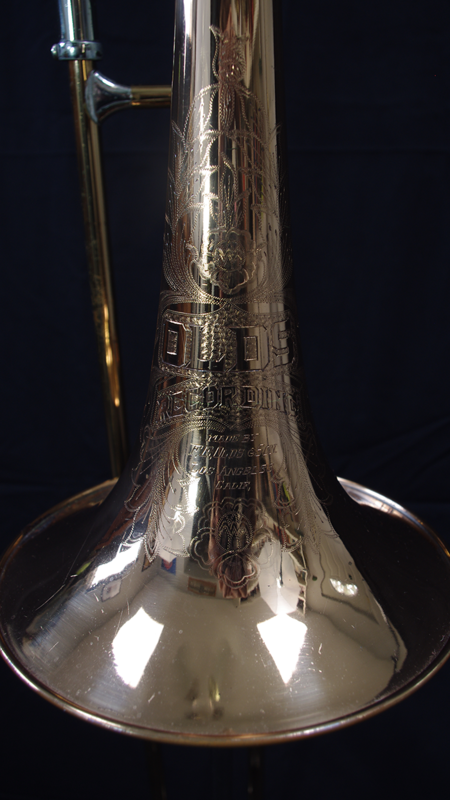 While the entire horn is beautiful, it’s the engraving on this horn that really make it stand out. It is so gorgeous! 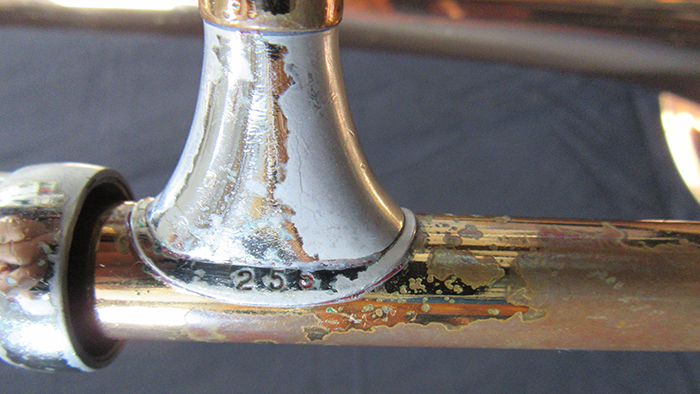 I understand that the engraving was all done by hand! 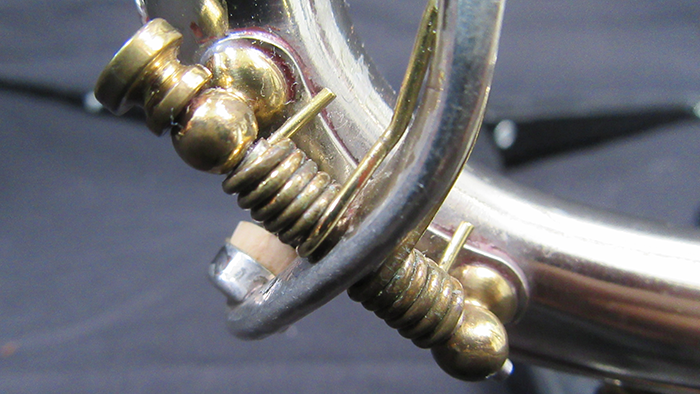 A close up of some of the wear on the horn. 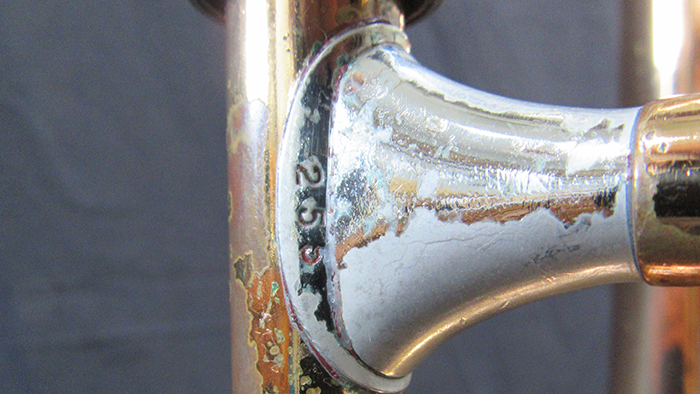 For a horn that was made in 1948 or ’49, it’s done remarkably well. More of the patented (seriously) Olds braces. 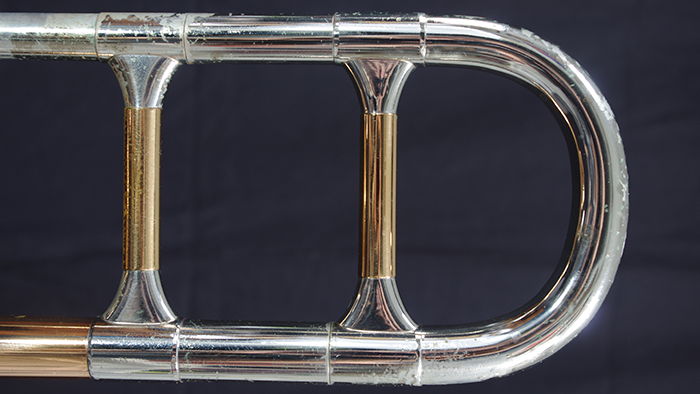 Even the slide lock is nice. 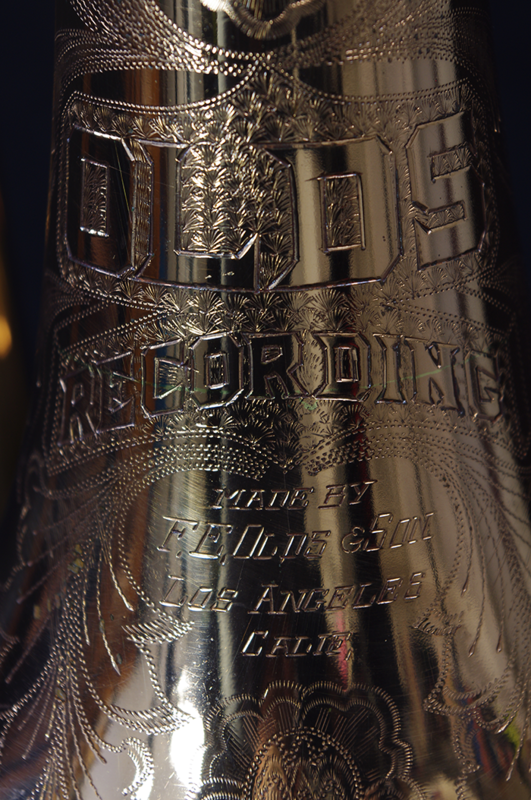 The Olds Recording also has the famous Olds fluted inner slide. 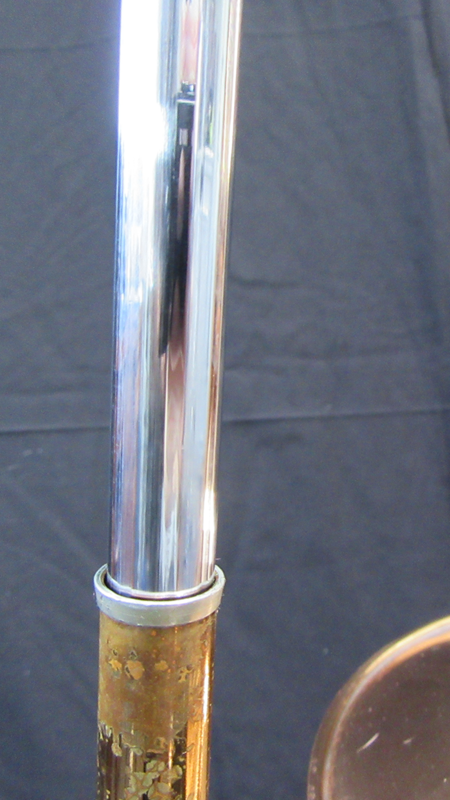 An invention of Olds, the slide had fluted (many straight edges) rather than round inner slides, although it’s difficult to see in the photos. 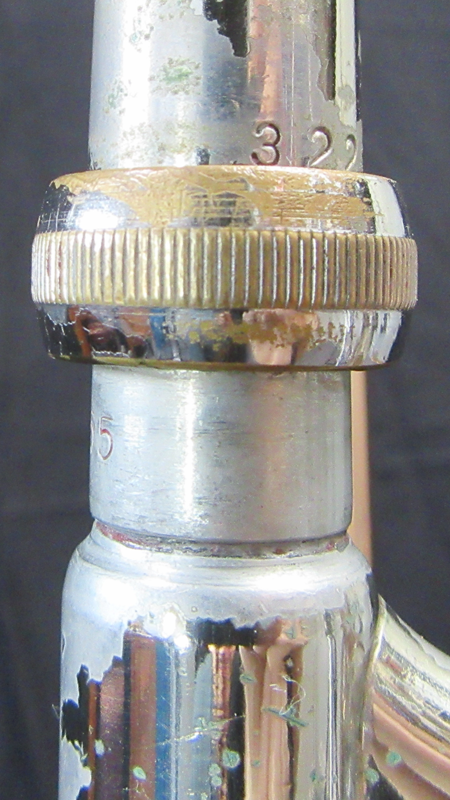 This was to make the slide easier to play. 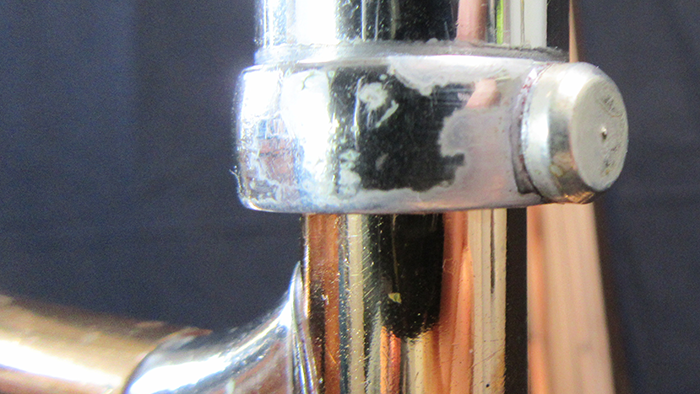 Even the water key (aka Spit Valve) is nicely detailed. 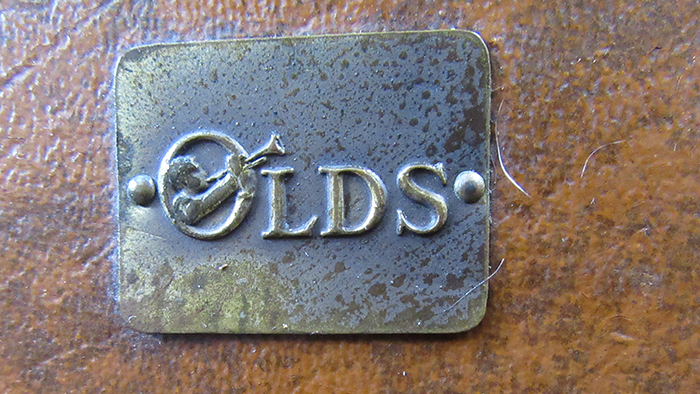 The wonderful Olds logo plate on the case. 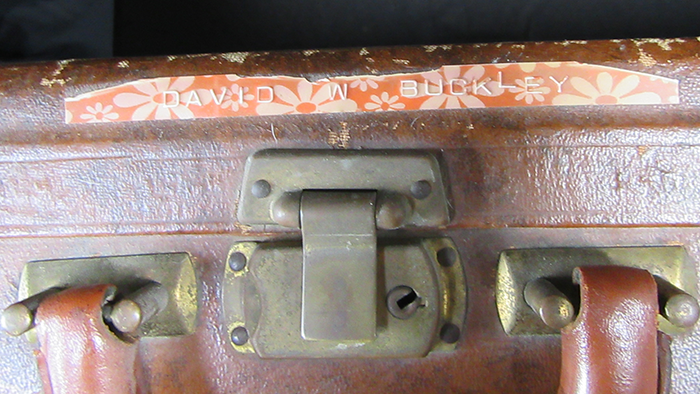 My uncle had some really funky label maker tape. It was the 60s-70s after all! 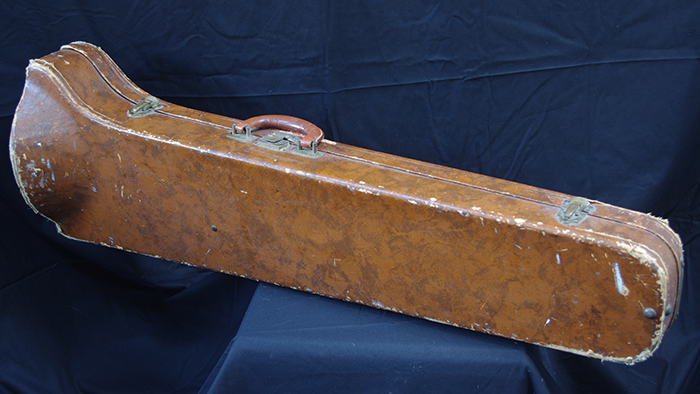 I really like this case as well. 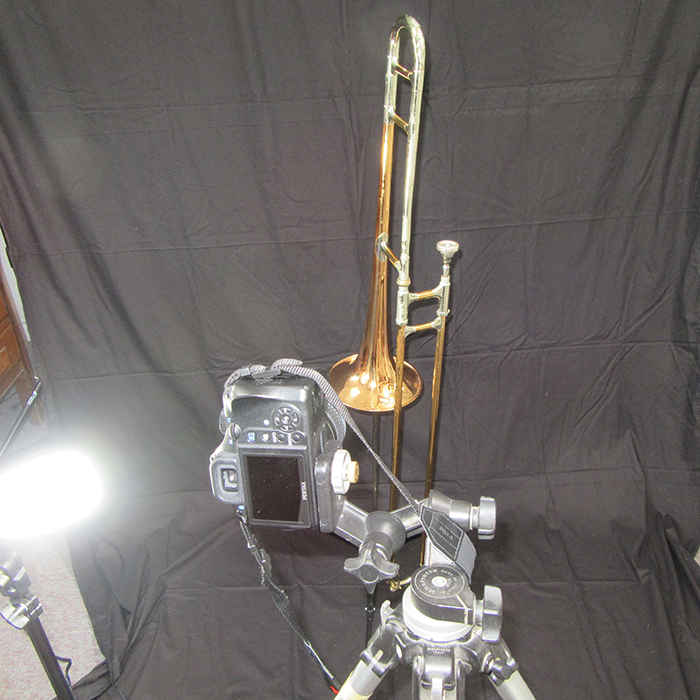 The FE Olds Recording in the studio!